A First Nations alliance says legal action may be the only way to stop oil and gas drilling in the Gulf of St. Lawrence. The Innu, Maliseet and Mi’kmaq Alliance is teaming up with other coalitions. They met Thursday to brainstorm ways to continue their fight to protect what scientists call an ecologically sensitive area. New warnings are being raised over proposed drilling at the Old Harry reservoir beneath the Gulf of St. Lawrence, with research that suggests an oil spill at the site could affect coastlines in Atlantic Canada. A Radio Canada-CBC investigation in partnership with the Institut des Sciences de la Mer de Rimouski warns an oil spill could be much worse than previously thought. The investigation was aired Sunday night on a documentary produced by Radio-Canada’s science magazine program Découverte. The Old Harry reservoir straddles the maritime border of Quebec and Newfoundland, and is north of the Maritime provinces. It is estimated to contain as much as two billion barrels of recoverable oil and and 5,000 billion cubic feet of natural gas. Corridor Resources is seeking permission from the Canada-Newfoundland and Labrador Offshore Petroleum Board to do exploratory drilling at the site. Corridor hired Ottawa-based SL Ross Environmental Research to do a study on the effects an oil spill could have in the Gulf of St. Lawrence. The report, presented in 2012, found that oil would quickly break down and a spill would be minimal and be unlikely to reach land. 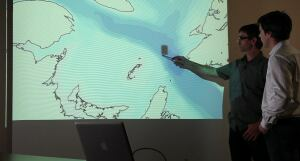 But Dany Dumont, professor of physical oceanography at ISMER, said the report is flawed. “It all started when we began to notice some flaws to our ideas in the methodology of this report and also triggered by the conversation that was going on between environment Canada, Fisheries and Oceans Canada, whom we’re working with sometimes,” Dumont said in an interview. “They were contesting, or arguing about some flaws in the report, so we decided to have our look in it,” said Dumont. The study looked at where the water passing through Old Harry would go. A study published this spring found that the areas most likely to be affected by a spill at the site would be the coastlines of Newfoundland and Nova Scotia. But the magnitude of any such spill could be a significant factor, the researchers found. For instance, while a concentrated spill (of less than 10 days) would affect specific areas, a major spill (lasting up to 100 days) would affect all of the Gulf of St. Lawrence. Then the Radio-Canada program Découverte tested the flow assertions of the study. Three buoys were deployed from a boat at the Old Harry site. Their movement was then monitored electronically. It took 12 days for the buoys to arrive at Port Saunders on Newfoundland’s Northern Peninsula — a flow rate much faster than even what Dumont’s study had predicted. Dumont said before any decision is made to allow drilling in the Gulf of St. Lawrence, his research should be taken into consideration. Meanwhile, the original research done for Corridor Resources has drawn criticism from an oceanographer at Memorial University in St. John’s. Len Zedel, an associate professor at Memorial University, told CBC News that gaps in the SL Ross report are dangerous. “Dangerous, in the sense that if the oil is heavier than expected, [and] you had more escape than you would like, it’s going to end up on the shorelines all around Newfoundland, potentially Quebec, P.E.I., New Brunswick, Nova Scotia — they’re all potentially exposed to that risk,” said Zedel. Zedel added he finds any assertion that oil won’t reach shore following a spill hard to believe. He said it’s time for a discussion on how far people are willing to go with drilling in the gulf. “I guess the thing that pains me about this is [that what] we’re talking about, it’s only exploration. It’s just going to be an exploration well,” he said. Zedel said once exploration starts, it will be hard to stop. Prime Minister Stephen Harper says Ottawa and Quebec are both expected to table legislation by the end of the year to jointly manage the petroleum resources in the Gulf of St. Lawrence. Harper made the announcement in Sept-Iles on Tuesday along with Denis Lebel, the federal cabinet minister responsible for Quebec’s economic development. “The accord will enable the safe and environmentally responsible development of petroleum resources in the region, help create hundreds of jobs and generate revenues and economic growth for Quebec and Canada,” Harper said. Also in attendance was Quebec’s junior transport minister, Jean D’Amour. Harper said Ottawa and Quebec are well-positioned to table the legislative framework to implement an accord that was signed in 2011. Ottawa estimates that the Gulf of St. Lawrence and surrounding areas have the potential for 39 trillion cubic feet of gas and 1.5 billion barrels of oil. Not everyone was as enthusiastic about the project as Harper. The unseen legislation promised by both the federal and provincial governments drew an immediate backlash from groups opposed to oil and gas exploration in the area. In July, First Nations leaders from Atlantic Canada called for a 12-year moratorium on all oil exploration in the Gulf of St. Lawrence. “It is high time that governments started supporting First Nations and coastal communities over corporate oil interests,” Mary Gorman of Save Seas and Shores said in a release Tuesday. The group includes fishing, environmental, tourism and First Nations organizations with a common goal of stopping energy exploration in the Gulf. Their immediate target is Corridor Resources Ltd., which plans to drill at a site known as Old Harry off Newfoundland in the Gulf. “We want Corridor, unelected petroleum boards and federal and provincial governments to know that oil drilling cannot co-exist in sensitive spawning, nursery and migratory waters in one of the most fragile ecosystems on earth,” Gorman said. A Montreal-based group called Coalition Saint-Laurent also issued a release demanding a pause while the issue goes to a full public review. “The Gulf of St. Lawrence is a unique ecosystem, very fragile, shared by five coastal provinces,” spokesman Sylvain Archambault said in a statement. The federal government reached similar deals with Newfoundland and Labrador in 1985 and Nova Scotia in 1986. Offshore petroleum production in Canada accounts for 25 per cent of light crude output and one per cent of the country’s annual average natural gas output. Newfoundland and Labrador received $8.4 billion in royalties from the region covered by the 1985 accord and Nova Scotia has benefited from $2 billion in the area cited in their deal. Bob Diamond is voicing his concerns with more license extensions for Corridor Resources. Diamond, a Stephenville resident, is the Newfoundland and Labrador representative on the Save Our Seas and Shores Coalition. The organization is calling on the Canada Newfoundland and Labrador Offshore Petroleum Board to stop issuing license extensions to Corridor Resources for property EL-1105 at Old Harry in the Gulf of St Lawrence. In Halifax back in July, First Nations groups called for a 12-year moratorium on offshore oil and gas development in the Gulf of St Lawrence. Representatives from Save Our Seas and Shores from the four Atlantic Provinces and Quebec met in Halifax this week to announce their support for the alliance’s demand. Six representatives from the Bay St. George area and Bonne Bay participated in the discussions through Skype. Diamond said while Corridor Resources has not yet applied for this extension, the coalition wants to send a clear message to federal and provincial politicians and to the C-NLOPB. “Corridor has already received two free extensions from the C-NLOPB, which amount to special treatment given to this oil company by its regulator,” Diamond said. Diamond said the coalition wants Corridor Resources, unelected petroleum boards and federal and provincial governments to know oil drilling cannot co-exist in sensitive spawning, nursery and migratory waters. HALIFAX – Just days after Prime Minister Stephen Harper announced joint plans with the government of Quebec to introduce legislation allowing for oil and gas development in the Gulf of St. Lawrence, several groups in Eastern Canada are renewing their calls for a moratorium. Following an announcement made by the Innu, Maliseet and Mi’kmaq Alliance in Halifax last July, when First Nations called for a 12-year moratorium on offshore oil and gas development in the Gulf of St Lawrence, representatives from Save Our Seas and Shores Coalition are meeting in Halifax this week to announce their support for the Alliance’s demand. The organization is also calling on the Canada Newfoundland and Labrador Offshore Petroleum Board (C-NLOPB) to stop issuing licence extensions, free or otherwise, to Corridor Resources for EL-1105 at Old Harry in the Gulf of St Lawrence. In a letter from Scott Tessier, chair and chief executive officer of the C-NLOPB, dated on July 25 and addressed to Aboriginal leaders in Quebec, he noted his appreciation of the input into the proposed offshore program from Aboriginal leaders thus far. The letter was mum on details for further participation from the public. “While there is a substantial amount of information on our website pertaining to the Old Harry environmental assessment, the board has not yet explicitly requested input from the public or aboriginal communities,” the letter read. The Coalition is responding to a statement made by Corridor Resources in their second quarter results that indicated the resource company would be looking for more time on its licence. While the company has not yet applied for this extension, the Coalition wanted to send a clear message to federal and provincial politicians and to the C-NLOPB that further extension wouldn’t be tolerated. Coalition members include coastal landowners, fishery and tourism representatives and concerned members of the public. Attempts to reach a representative of Corridor Resources Inc. were unsuccessful at press time. The Guardian – Mitch MacDonald – Published on September 08, 2014. It’s not the kind of pet you can take home, but Islanders will soon have a chance to help name a blue whale living in the Gulf of St. Lawrence.Zack Metcalfe is one of the organizers for a group working towards raising awareness for protecting endangered species and commercial fish species in the Gulf of St. Lawrence.The unique naming contest is just one of the ways the campaign, which is a collaboration between Save Our Seas and Shores and the Sierra Club, hopes to raise that awareness during the next several months. Metcalfe said that contest is also being run with the Mingan Island Cetacean Study. “We’re picking a blue whale that they’ve identified that hasn’t been named yet and we’re going to put it to public opinion to toss in their name suggestions,” said Metcalfe during an interview with The Guardian at a “Blue Whale Bash” in Charlottetown Sunday. The day saw a lobster raffle, live music and local food at the Farm Centre. There was also a life-sized baby blue whale poster children could colour in and write messages on, as well as displays describing the marine life found in the gulf. Metcalfe said the focus is not just whales, but all critically endangered species and commercial fisheries in the gulf. Much of the campaign’s cause is also motivated by opposition towards oil and gas exploration in the gulf. Seismic testing has already been done in the gulf, while discussions over any future development continue. Colin Jeffrey, the campaign’s other organizer, said the group wants individuals to start a debate on oil and gas development as well as look at other negative impacts such as increasing runoff pollution, overfishing and marine traffic. Jeffrey said the group will educate the public on the many species in the gulf until the campaign ends sometime next January. Each week, a different species will be detailed online. Jeffrey said more information on the campaign is available through links on the Atlantic Chapter of the Sierra Club’s and the Save Our Seas and Shores’ websites. Here is a selection of the nation-wide coverage of the Alliance of Innu, Maliseet, and Mi’gmaq First Nations calling for their rights in the Gulf of St. Lawrence to be acknowledges and a 12 year moratorium on oil and gas in the Gulf of St. Lawrence. In the wake of World Oceans Day, marked with actions and celebrations by the United Nations and community groups around the world, Atlantic Canadians should pause and consider how we are treating the ocean in our own backyard. Of special concern is the recent push to develop oil and gas deposits in the Gulf of Saint Lawrence. Not content with exploiting the 85 per cent of Canada’s eastern waters that lie outside of the Gulf, the oil and gas industry has persuaded provincial governments to open up parts of the gulf for exploration and development. However, Canadians have more to lose from petroleum development in the gulf than outside it. With its warm, shallow waters, this inland sea acts as a vital feeding and spawning ground for most of our commercially valuable marine species and contains the largest concentration of krill in the North Atlantic. In 1973, an interdisciplinary panel report led by Dr. Loutfi of McGill University described the gulf as “biologically, the most productive Canadian marine region” and concluded that offshore development posed too great a risk to an ecosystem of such biological diversity. Since then, the health of our gulf has deteriorated, with overfishing, land-based pollution and climate-change-driven impacts all playing a role in its decline. Fish stocks that once created thousands of jobs in the region are now managed with the utmost care in the hopes that they will one day increase. Given the current fragile state of the Gulf of Saint Lawrence, do we really want to add the known impacts of offshore drilling to the mix? Most worrying of all is the lack of environmental protection proposed by those overseeing oil and gas development in the Gulf of Saint Lawrence. Currently, planned development is concentrated along Newfoundland’s west coast. Like many parts of the gulf, this area has an unusual abundance of fish and provides critical feeding, spawning and wintering habitat for several groundfish and pelagic fish species, as well as threatened whale species. For this and other reasons, it has been designated an Ecologically and Biologically Significant Area (EBSA) by the Department of Fisheries and Oceans. One would think that such high biodiversity would persuade the Canada-Newfoundland Offshore Petroleum Board (CNLOPB) to at least place areas of vital marine habitat off limits to petroleum development, but this has not happened. In May, the CNLOPB released an update of its Strategic Environmental Assessment (SEA) for Newfoundland’s western offshore, a document that is supposed to provide strategic planning for future offshore development and ensure environmental protection on a regional scale. This, it does not do. Using the flimsy excuse that specific protection measures cannot be implemented before actual projects have been proposed, the CNLOPB makes no effort to place critical marine habitat off-limits to oil and gas exploration and development. The SEA Update area also includes the “Old Harry” prospect, which is expected to be approved for exploratory drilling this summer. Proceeding with drilling here is as likely as anywhere in the gulf to cause real harm. It’s located in water six times deeper than the Hibernia site and surrounded by biologically significant areas. As Atlantic Canadians, we have relatively little to gain and everything to lose from allowing oil and gas development to proceed in the Gulf of Saint Lawrence. The economic benefits of these industries are often touted, but increased energy efficiency and renewable energy production offer more substantial economic benefits. Further fossil fuel production will also increase the severity of climate change, creating substantial negative impacts on our economies and our lives in the coming decades. When you add in anticipated negative impacts to our Eastern Canadian fisheries, which contribute $3 billion a year to Atlantic economies, one really has to question if offshore drilling in the gulf is our best option for energy development in Atlantic Canada. 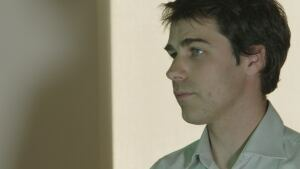 Colin Jeffrey is a member of Save Our Seas and Shores — P.E.I. chapter. Go here to read the piece on the Herald’s website.